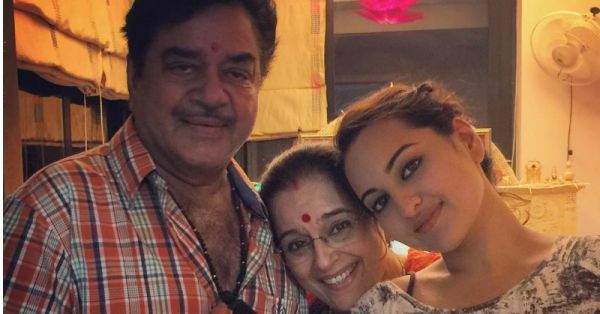 Dear Shatrughan Sinha, Your Comments On #MeToo Are NOT Funny! Another day, another Bollywood celebrity makes insensitive remarks about the #MeToo movement. This time, it's none other than veteran actor Shatrughan Sinha. The actor-turned-politician recently said, "Behind a successful man's fall is a woman," and yes, we're enraged. Sinha was present at the launch of author Dhruv Somani's book A Touch of Evil, where he said, "Today is the time of #MeToo, and there shouldn't be any shame or hesitation to say that behind a successful man's fall is a woman. Behind the troubles and infamy of successful men, there have been mostly women that I've seen in this movement." He further went on to say that he was surprised that he hasn't been named in the movement, despite his actions in the past. "I really call myself fortunate that in today's times, tamam harkate karne kay bawajood (despite everything that I've done), my name hasn't come out in the #MeToo movement. Hence, I listen to my wife and often take her as a shield with me so that even if there's nothing, I can show, 'I am happily married, my life is good.'" While it's bad enough to remain silent and not support the survivors who came out with their stories, Sinha openly admitting to inappropriate behaviour - unfazed by the potential consequences - is why our society still has a long way to go when it comes to women's rights. With his sexist comments, Sinha just goes to prove that powerful men in the country will continue to do whatever they please, because they're so confident that they can get away with just about anything. He later even went on to defend his own comments, saying they were meant to be taken in the 'right humour'. He said, "Don't take it otherwise. Please take it with a plain sense of humour." Well Mr Sinha, forgive us for our terrible sense of humour, for we just cannot figure out what's funny about a woman who's been the survivor of sexual misconduct gathering the courage to name and shame her perpetrator. We really can't understand what's funny about the misconduct that you have admitted to committing as a man of power in the industry. We really, really don't know how to react to your callous statements. In an interview with IANS last year, the Lok Sabha MP had said that he would continue to work with director Subhash Ghai, even if the allegations against him were proven to be true. "Even if he is proven guilty, and he serves the punishment given to him, I’d work with him," he said. He isn't the first celebrity who has made inappropriate remarks about the #MeToo Movement in India. Bollywood celebrities have been stooping low to defend the accused and victim shame the survivors. In a recent interview, Rani Mukherji proved herself ignorant on the subject when she asked women to learn self-defence and her colleague Preity Zinta insinuated that women are asking for it. Let's hope that Bollywood celebrities realise that the #MeToo movement is not a matter of 'humour', and they think twice before putting their foot in their mouth. This is the age of social media, and every word counts.